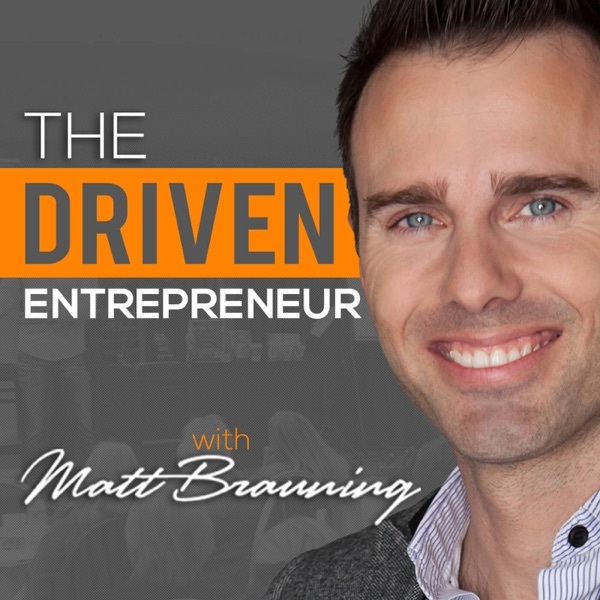 The Artisan Drive - "Because It's Beautiful"
Ep #46 - In this episode, Matt Brauning discusses one of the seven primary drives that fuel entrepreneurs, The Artisan Drive. The catch phrase behind the artisan drive is "Because it's beautiful." You will learn the details of the artisan drive, famous entrepreneurs that are influenced by it, and how it shows up in leadership. This is the second part of a series of podcast episodes focused on Matt Brauning's new book, "The Firebox Principle: The 7 Drives That Fuel Every Entrepreneur." Matt's book is now available for purchase on Amazon. You can get it now for the launch price of just $0.99, but be sure to act fast because this promotional discount is temporary. When you buy the book and visit the website, www.fireboxbook.com, you can enter your receipt information to be eligible for Matt's upcoming Firebox training which is valued at $997. Visit www.fireboxbook.com and click the 'access training' button to get on the list. You will be prompted to enter your receipt number for your book purchase to confirm eligibility. When you register for the training, you will also be put on the list to receive access to the upcoming Firebox quiz which will be released later this summer. At the start of this podcast episode, Matt Brauning shared about his recent appearance on ABC Tuscon. If you would like to watch Matt's interview, click the link below to check it out. As always, please share your feedback for the podcast, the book, or Matt's television interview, by reaching out to us. You can contact Matt using the info below.